Took a photo of some realistic model teeth on the counter at the dentist today. Thought they would come in handy for a drawing. Sketched up this geezer tonight. 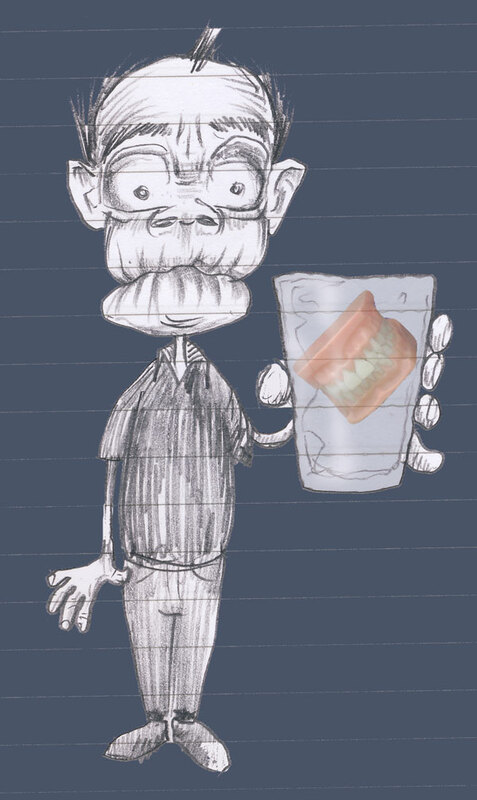 This entry was posted in dentist, geezer, teeth. Bookmark the permalink.